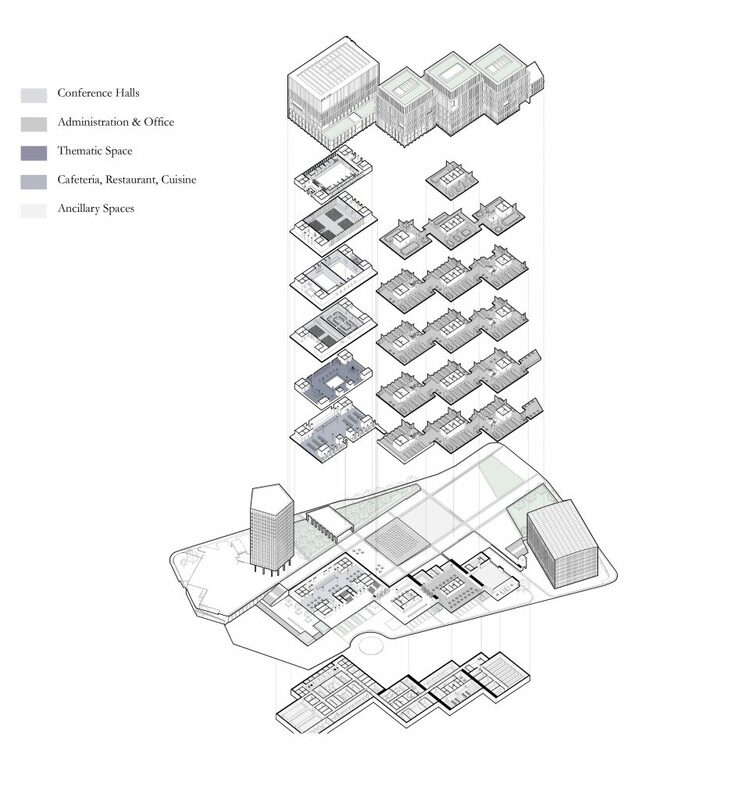 The proposal for the redevelopment of the ITU Headquarters Campus was conceived as a composition of elements set within the reconfigured esplanade that emanates southwards from the Allée des Nations. 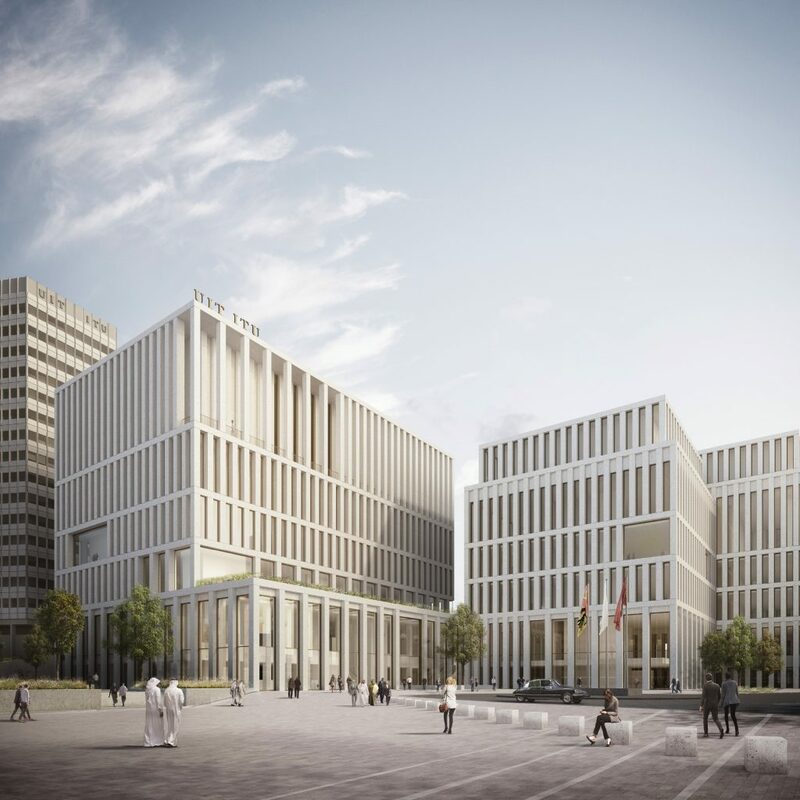 These buildings are divided programmatically and physically into two distinct entities, the administrative buildings and the conference building. 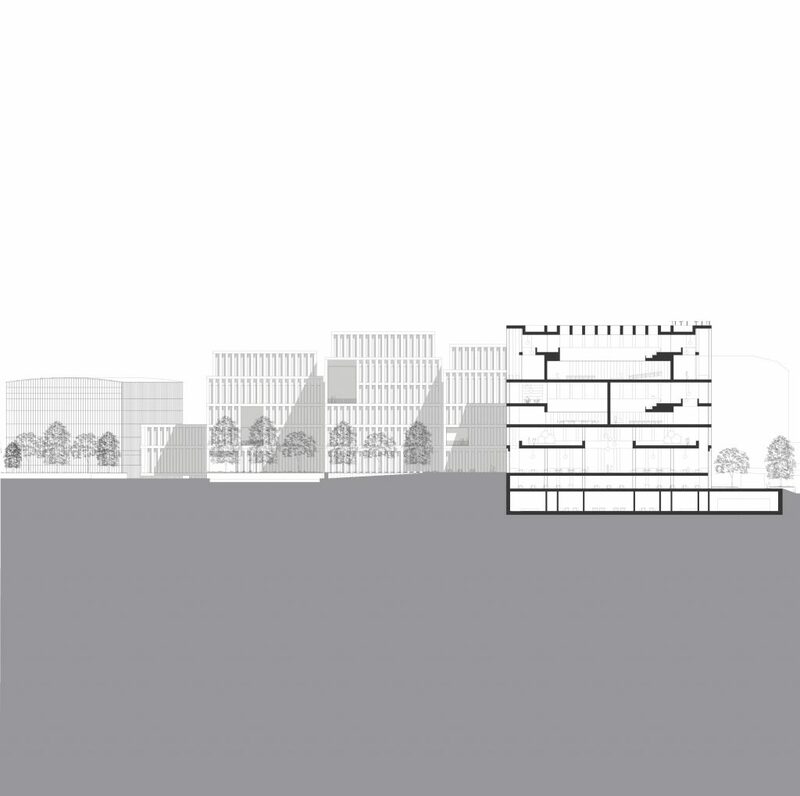 The scheme proposed a vision for the wider area, looking beyond the confines of the site boundary to indicate how the campus could be better integrated into the fabric of the city. 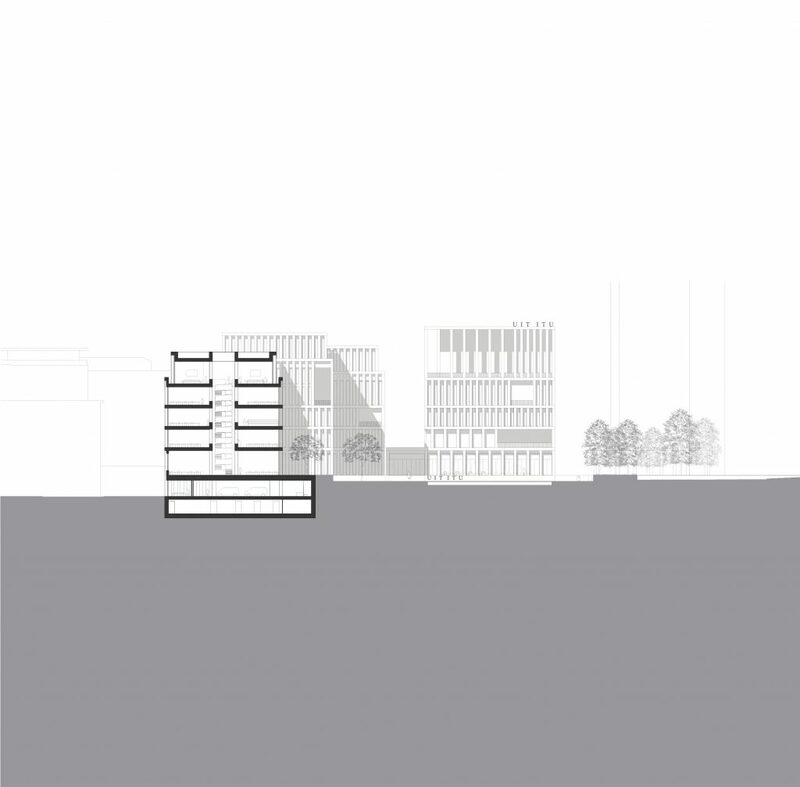 The composition of the three administrative buildings were carefully balanced to ensure that, there was a distinct relationship between them and the massing of the development was broken down into a series of legible forms that are in keeping with the surrounding urban grain. 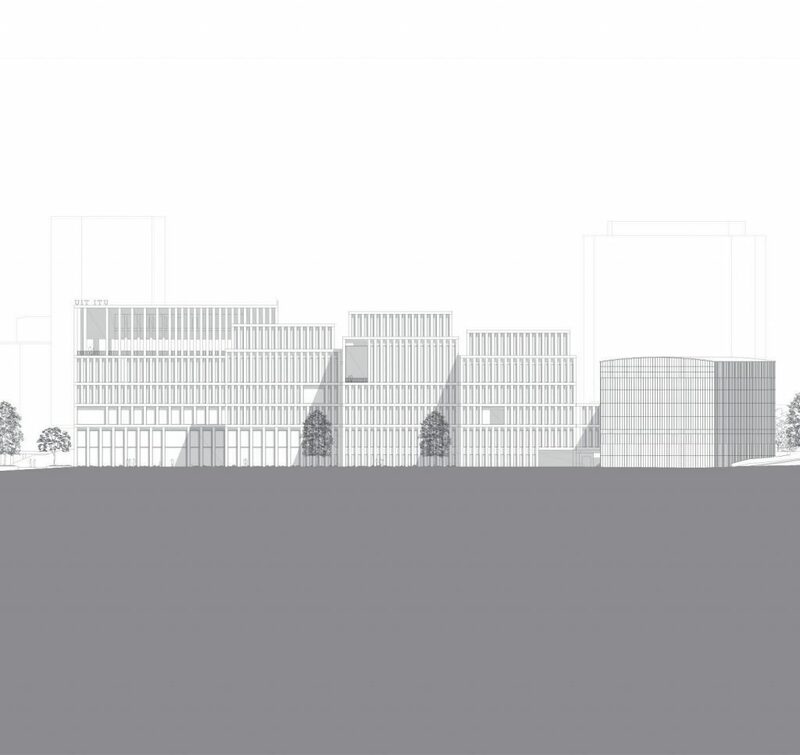 To the south of the esplanade, the view is terminated with the public facing conference building. 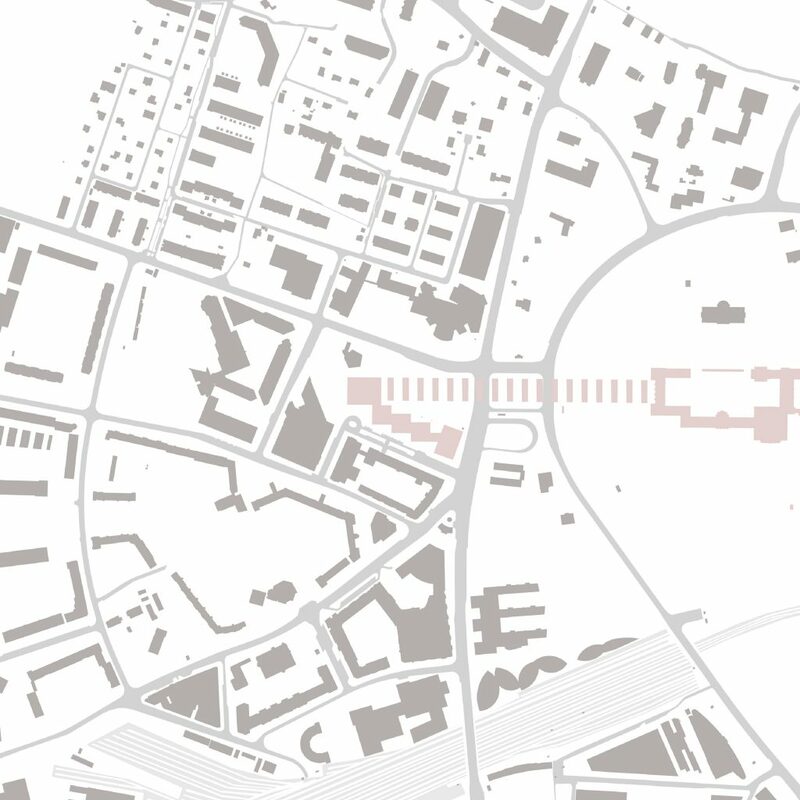 The proposed reconfiguration of the public park to the north of the site, conceives the space as more urban space than it currently is, opening it up to the adjoining square. The northern most square contains a contemplative pool of water, and signals a moment of serenity and calm. The second of these spaces contains a shallow lake within which a series of one hundred and ninety three regimented stepping stones are placed, a further two places are denoted within the square, to reflect to the two observing nations. 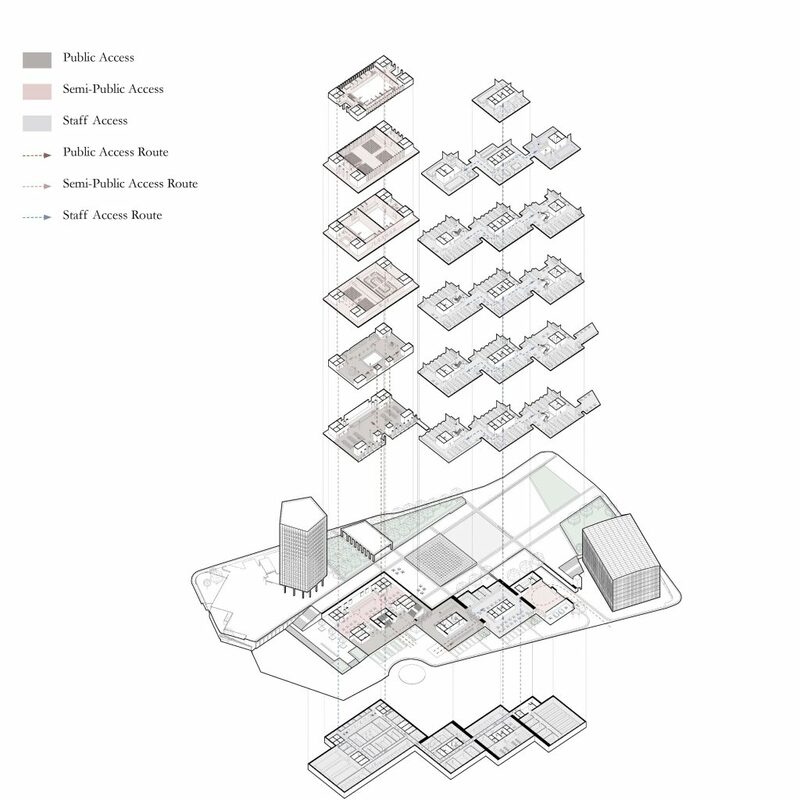 The intent behind the articulation of the buildings was a formal, civic quality, and a solemn tone. 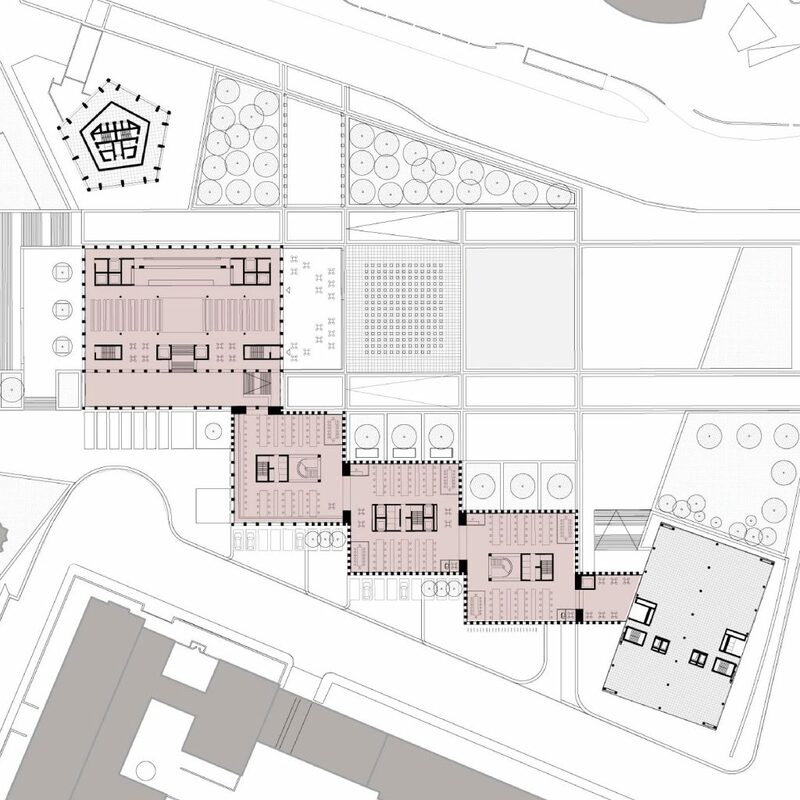 The geometry, module and rhythm of the facade, is interrupted at appropriate moments to express the variations in the internal programme, such as entrances, meeting rooms or viewing galleries. 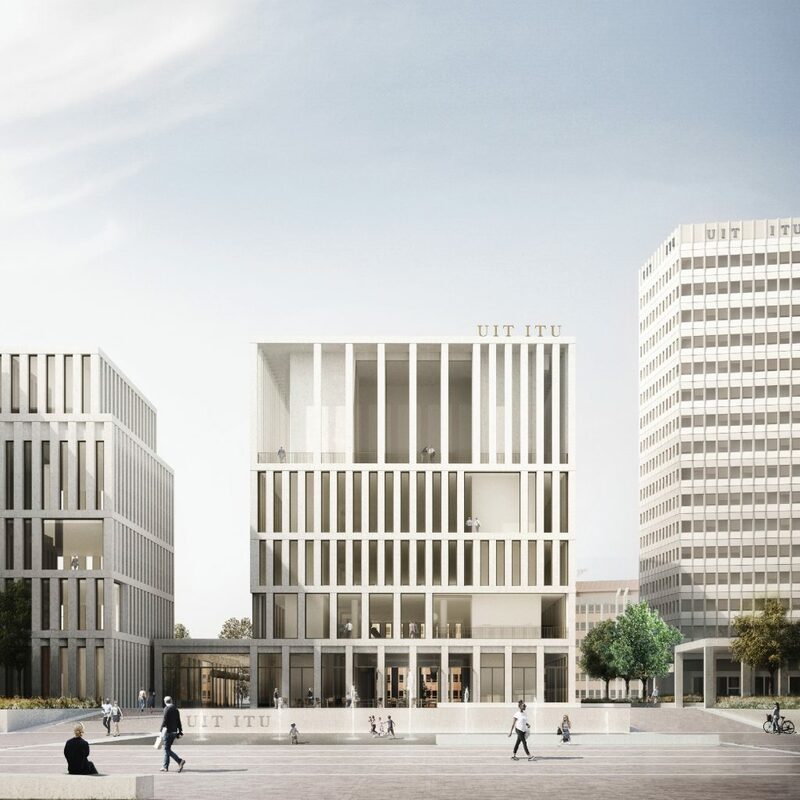 The proposed facade material was pre-cast concrete referencing the solidity and colour of the Palais des Nations, further reinforcing the connection between the buildings.